Sony has announced the launch of two new cameras – the RX100 Mark V and the new mirrorless A6500. The cameras follow the launch of Alpha A99II, which was introduced at Photokina 2016. For those who are familiar, Sony’s RX100 series has been the best high-end compact zoom camera for quite sometime and with RX100 IV, Sony made the range exceptionally better with both stills and video. But who wants RX100 IV, when there is RX100 V instead. Sony RX100 V is the latest in company’s high end compact zoom camera range and it has everything we loved about RX100 IV but only better. The highlight here with the RX100 V is its speed – the camera can shoot 24 RAW images per second. Sounds impressive, isn’t it? At the heart of RX100 V, there is a new 315-point phase-detection AF system responsible for such incredible shooting speeds. The camera also has the world’s fastest autofocus system at 0.05 seconds. Sony RX100 V features the same one-inch type 20.1MP Exmor RS sensor, refreshed with a built-in RAM and ability to automatically switch between continuous and single-shot autofocus. 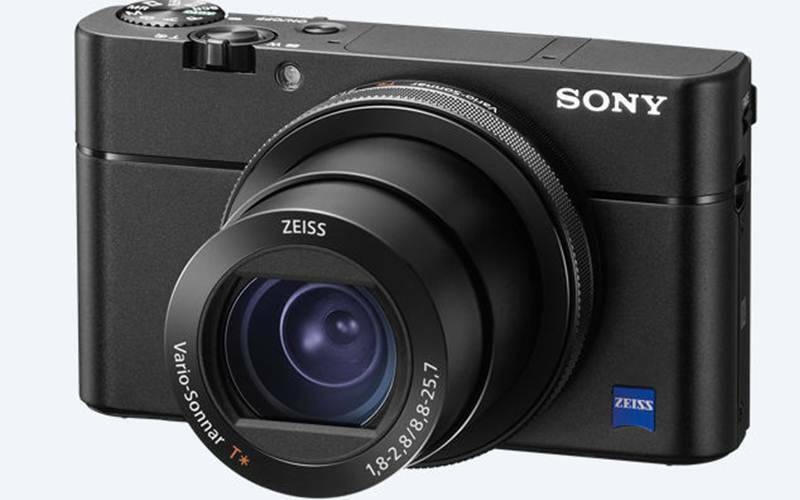 Sony RX100 V features the same 24-70mm equivalent Vario-Sonnar Zeiss with f/1.8-2.8T lens. There is also optical image stabilisation for those crisp 4K videos along with a pop-up OLED electronic viewfinder. The max ISO also remains at 12,800 ISO. Sony RX100 V can shoot 4K videos in 24 or 30 frames per second and slow motion videos at 1000fps. Sony RX100 V will be available in October in the US for $1,000. Sony has also announced the successor to its popular A6300 mirrorless camera. Sony A6500 is a mirrorless E-mount camera with a 24.2-megapixel image sensor. It supports 4K video like its predecessor and offers option to shoot at 11fps with continuous autofocus. Sony A6500 is the first camera to use 5-axis in-body image stabilisation. Sony A6500 features a 2.4 million dot XGA OLED electronic viewfinder with ability to extract stills directly from the movie footage. There are also a wide array of connectivity options including WiFi, QR and NFC. Sony A6500 will set users back by $1,400 when it launches in Europe in December.